Pieces of Eight is finally here & is the sequel to Six Feet Under. The final book in the Mad Love duet in here. I truly don't even know how to review this book. No words will ever do this book, or this duet really, justice. This book by far is Whitney's best work. She has grown tremendously as a writer since I started reading her and I will say without a doubt this Mad Love Duet is my favorite by her. I can't wait to see what the future holds for her books. Mira and Six together is magical but them apart was something else entirely. We saw sides of both of these characters in POE that I wasn't sure would ever come to fruition. They both grew into people that were almost unrecognizable from SFU. They grew into two people who we can admire and who can love without reservation. Although we all know life is tough I have no doubt about Mira and Six after POE. I was sad and angry at the end of Six Feet Under but by the end of Pieces of Eight my heart had been put back together and I was content. Happy. Understated and open endings are some of my favorites. They prove we write our own endings. Authors who write these kinds of endings, I feel anyway, have a true understanding of life and know that not everything has to be wrapped up in a pretty little bow to be good, great even. Bravo Whitney. 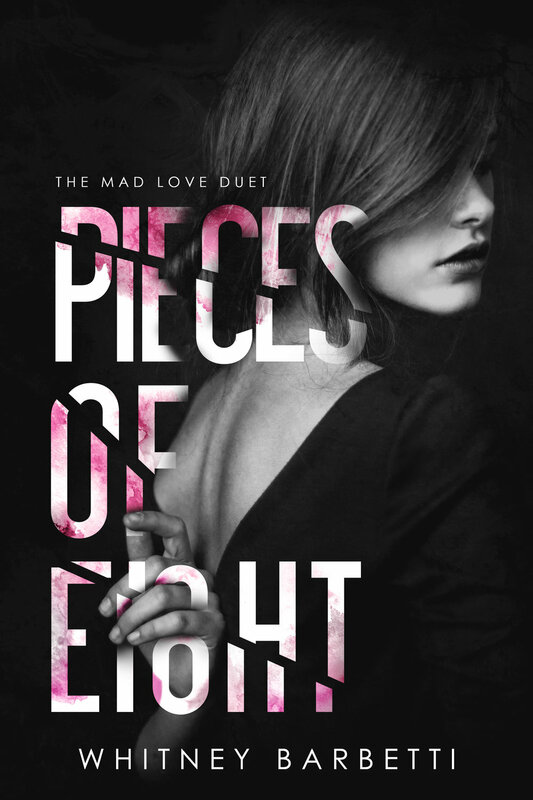 Pieces of Eight is the sequel to Six Feet Under and the final book in the Mad Love duet. It should not be read as a standalone. Triggers include mental illness, self-harm, and addiction. Six Feet Under is the first book in the Mad Love duet. If you've struggled with mental illness, self-harm, alcoholism, or drug use this story may be triggering for you. If you are still recovering or are susceptible to relapsing, please reconsider reading.